Lizzy brings extensive development experience in a variety of organizations to Walking Mountains. She graduated from Smith College with a BA in History and earned a MA from University of Manchester (UK). Lizzy currently lives in Avon with her husband, two daughters, and yellow lab, Macie. 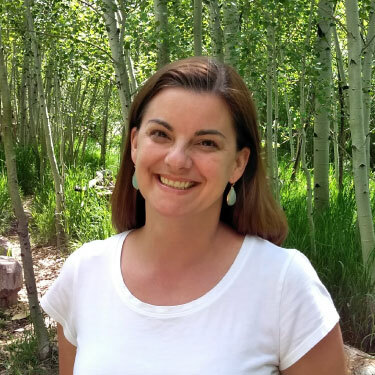 She enjoys knitting, reading, hiking with her family, and skiing, and is excited to learn the veritable smorgasbord of additional outdoor activities offered in Eagle County.